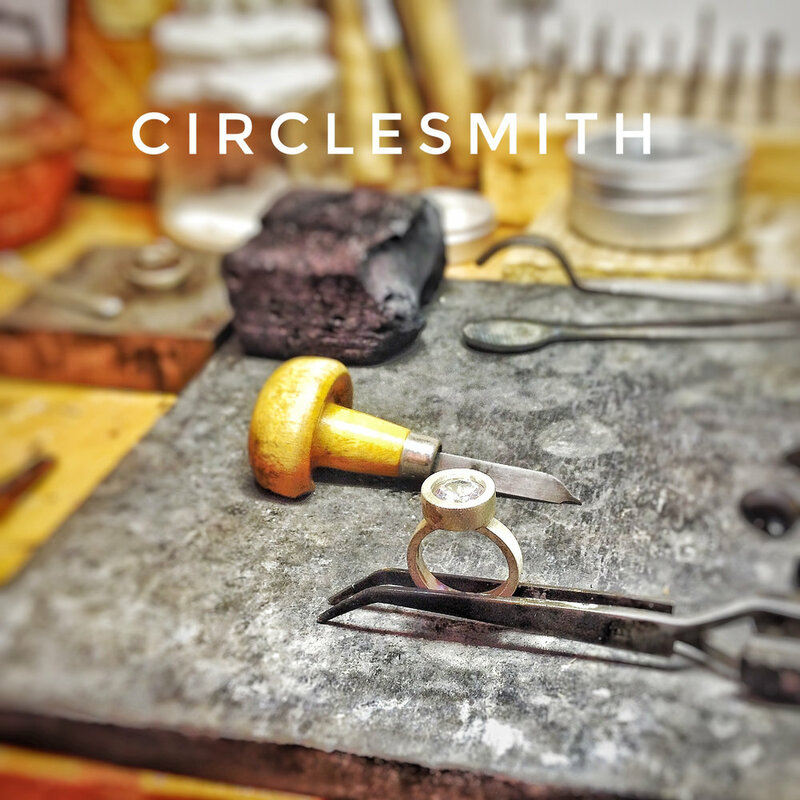 at circlesmith we offer a number of restoration and repair services. see our current pricelist and submit a repair inquiry. Take those old, damaged, worn, and forgotten pieces of jewelry out of that drawer (you know the one) and turn them into sparkly and shiny new ornaments that you would only be too happy to wear. I love to restore those forgotten pieces to their original splendor...or better than their original splendor, in most cases. I start with a gentle polishing, then a deep ultrasonic cleaning, and finish with a purifying steam...resulting in a beautiful restoration that you will not believe! I will microscopically inspect your piece of jewelry and contact you as to any recommended repairs such as re-tipping or head replacement prior to any work being done. I will also let you know if you have any worn, chipped, or cracked gemstones before I so much as clean your heirloom. Or, if you prefer, I can remove the gemstones from an old, outdated piece and re-set them into a brand new contemporary mounting. Please note, if I believe your original piece of jewelry to be of a specific artistic or design significance I will immediately let you know; in that case I can only repair or restore that item. I refuse to destroy these items but I will gladly and thoughtfully lend a hand in their careful restoration. If you are interested in restoration or repair, in addition to filling out the form below you might also email a photo of your jewelry piece. Just snap a photo of the piece with your phone or camera and email the image to circlesmithstudio@gmail.com. Please include your name and phone number, as well. -whatever your needs may be, we will offer a free, comprehensive estimate. please fill out the form below and we can discuss the possibilities.